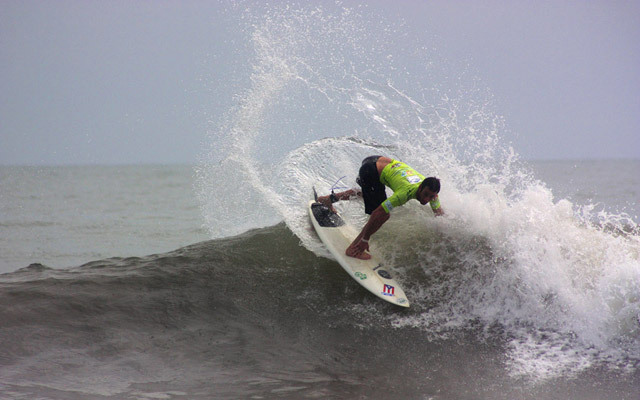 It was a last chance day today at the El Salvador ISA World Masters Surfing Championship for many competitors, crucial for the race towards the Eduardo Arena ISA World Team Trophy. Of the 22 heats held, only six were part of the Main Event rounds, and out of the 124 competitors that started the event, only 52 remain in the tournament. Eight are from the USA, the only country that has all their athletes still in competition and, therefore, leading the race for the ISA Masters World Team Title. Defending Champion Australia saw Grand Master Jason Schmidenberg losing his Repechage Round 3 match-up. Two-time World Champion Team South Africa had Graeme Field eliminated in the Masters division. Surfing powerhouses Hawaii and Brazil suffered the elimination of Darren Tatsuno and Jorge Bittencourt respectively. The three qualifying rounds determined the Main Event finalists in the Masters (+35), Grand Masters (+40) and Kahunas (+45) divisions. Former ASP World Tour Competitors Ross Williams (HAW), Jojo de Olivença (BRA) and Davey Gonsalves (HAW), along with Gary Van Wieringen (RSA), are now one step away from the grand final. The Grand Masters Main Event Final will have Fabio Gouveia (BRA), Jojo de Olivença (BRA), Juan Ashton (PUR) and Dean Randazzo (USA). After a last minute withdrawal by another member of the Brazil squad, Olivença was forced to compete in two divisions. It was a happy accident for the Brazilian Team, as Jojo is now in the two Main Event finals. 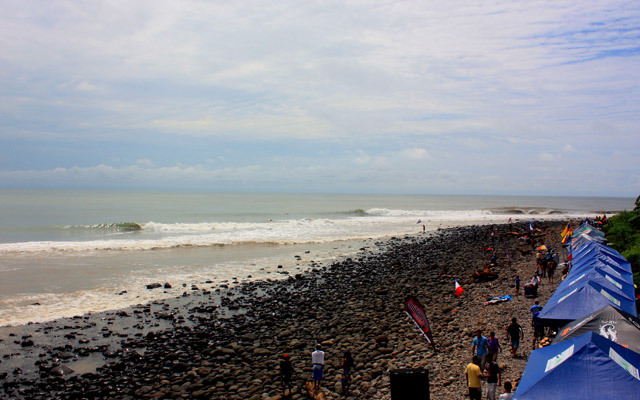 “Today was a great day and I’m happy for having surfed well in both divisions. I’m used to doing this so it’s not a big issue for me. Let’s hope for the best now”. The Kahunas had Tom Curren (USA), David Malherbe (RSA), Mike Latronic (HAW) and Jim Hogan (USA) making it through to the Main Event final. Curren was the round’s best surfer, scoring a combined total of 14.43. “We have a very good team and so far things have been going well for us so we will try to stay strong and do well,” said Curren. The Repechage rounds had many high performance heats with nerve-wracking situations. Brazilian Sergio Penna took advantage of his strong backhand approach to earn the highest singe wave score, 9.17, in his Kahunas heat. The day’s surprise was Germany’s Patrick Castagnet who outscored Mark Richardson (AUS, second), Martín Passeri (ARG, third) and Germán Aguirre (PER, fourth). “That was a really tough heat, with the 2006 Latin American Champion (Passeri) and one Australian!” said Castagnet. “I just gave my best to make it through. With seven minutes left in the clock I was able to catch two good ones that took me to the first place. It’s motivating to make it through this heat and that gives me a lot of strength”. Other Repechage standouth were Carlos Cabrero (PUR), David Giddings (USA), David Husadel (BRA), Andre Malherbe (RSA), Santiago Di Pace (ARG) and Ricardo Villanueva (PUR) among others.